In a joint effort by the UNHCR, Nepalese lawyers, NGOS, and other international actors, the handing over of 23 Tibetan refugees was negotiated yesterday despite demands for their return to China. Today [22 Sept. 2011], Nepalese authorities turned over a group of 23 Tibetan refugees who had been held by the Department of Immigration to the United Nations refugee agency (UNHCR). It is expected that the group will be processed and sent to India shortly, where they will come under the care of the Central Tibetan Administration, as per the well established system for handling Tibetan refugees fleeing into exile. "This group is safe from the danger of being sent back to Tibet, thanks to the work of the UNHCR, Nepalese lawyers and NGOs, and governments, notably the United States and the EU," said Mary Beth Markey, President of the International Campaign for Tibet. "We commend those decision-makers in the Nepalese government who ultimately saw the wisdom in siding with international law and well-established procedures for refugee transit over the pressure from the Chinese Embassy." The 23 Tibetan refugees had been detained by Nepalese immigration authorities since September 11-13. Under normal procedures, the group would have been promptly handed over to the UNHCR for processing and onward transit to India. 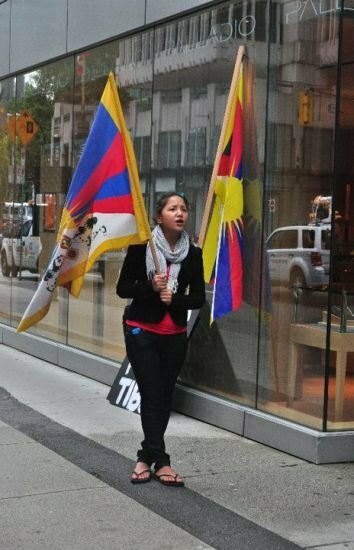 However, the Chinese Embassy in Kathmandu intervened and demanded that the Tibetans be released into Chinese custody for return to Tibet. Such forcible return would be a violation of international law, given the credible fear of prosecution and torture of those sent back. "We should remember that this problem was created by the Chinese, through their attempt to derail established protocols for the humanitarian processing of Tibetan refugees transiting through Nepal," said Markey. "The vital next step is for the U.N. and governments to provide technical advice and support to the Nepalese government to codify a national refugee law, in order to ensure that Tibetans and all refugees traveling through Nepal are fully protected per international standards."